A power of attorney, POA, is a legal document in which you designate someone to act on your behalf in specific circumstances; in a POA for health care, you designate someone to make your medical treatment decisions. The person you designate is known as your agent and you are referred to as the principal. 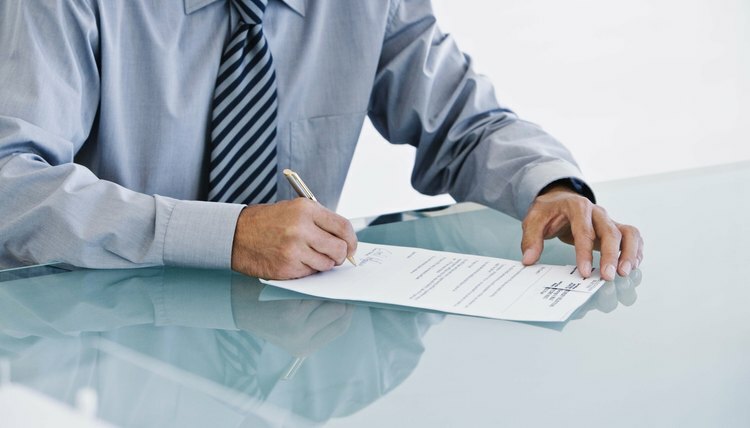 The formalities involved in executing a POA vary from state to state, but the document generally must be in writing, signed by you, and witnessed by someone other than the person designated as the agent. A POA can take effect immediately or become effective at a specified later time. Often, a POA for health care will become effective if and when you are declared "incapacitated," meaning you are unable to make medical decisions for yourself. The immediate type of POA can be made "durable," which means that it continues to be valid in the event you become incapacitated. Most states require that steps be taken to declare a person incapacitated, such as requiring the opinion of an attending physician or psychologist and noting the basis for the diagnosis in writing. Further, if you regain the ability to make health-related decisions after being declared incapacitated, a POA that is only effective during incapacity, referred to as a "springing" POA, is automatically withdrawn. The amount of authority that you delegate to your agent under a POA can be broad or limited. It is not uncommon for a POA for health care to cover all medical decisions. Most POA forms allow you to specify which decisions you would still like to make, provided you are competent. An example might be executing an immediate POA and delegating all authority except in cases where major surgery is contemplated. However, it is important to note that state law can override your freedom to delegate authority in certain instances. For example, in states that do not allow physician-assisted suicide, your agent cannot consent to this treatment even if he believes it is in accordance with your wishes. When a situation arises calling for your agent to make a medical decision for you, the agent has a duty to follow your instructions. This places certain responsibilities on your agent to make informed decisions, which might include consulting with the medical team, reviewing your medical chart, exploring alternative treatment options, and obtaining second opinions. For this reason, the person you select to serve in this capacity should be someone you trust. It is also important that your agent understand any of your religious or spiritual beliefs, particularly those that might influence a medical decision that is not clearly outlined in the POA. The agent should understand your instructions and be an assertive advocate for you, as well as be willing to keep your family members and friends informed, if consistent with your wishes.